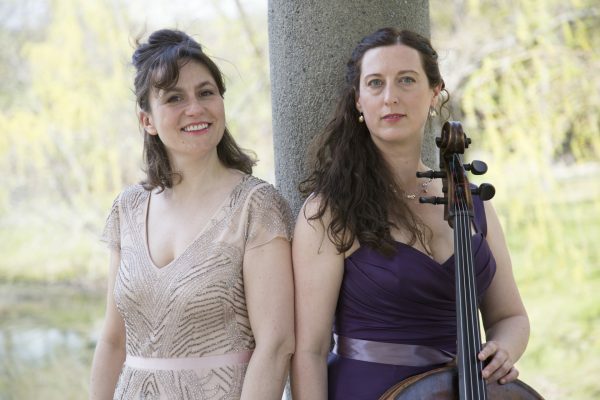 Music in Bass Hall presents Duo Déjà vu (Rebecca Hartka cello, Barbara Lysakowski , piano) in a concert entitled: Voix de Paris (Voice of Paris); music that would have been heard in the salons of Paris in the 19th and 20th century. From the stunning lyricism of Chopin to the still avante garde sounds of late Debussy, Paris was an international hub for the greatest composers, as well as other artists. Hartka and Lysakowski have performed together since 2011 in a variety of venues including the French Cultural Center and Seully Hall at the Boston Conservatory. The Boston Musical Intelligencer praised them for their “impressive, lyrical talents” saying that their performance “provided a kind of magic.” Their 2017 appearances will include a performance at the Fredericks Historical Piano Concert Series. 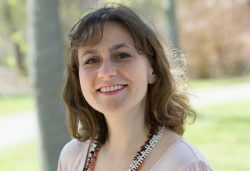 Born in Poland, Barbara Lysakowski is an active solo and chamber music pianist in her native country and in the Boston area. Her musical interests stretch from Baroque to 20th century music. Her repertoire among others includes Chopin’s, Grieg’s, and Debussy’s Sonatas for Cello and Piano, Poulenc’s Sonata for Flute and Piano and Beethoven’s Appassionata Sonata. She is a current member of Reve d’Amour ensemble whose debut on November 2014 at the French Cultural Center was described in the Boston Musical Intelligencer as “strong”. In Poland under the City Concert Series, Barbara has performed with cellist, Anna Sawicka, a concert master of the Baltic State Opera Orchestra. Barbara started her collegiate studies at the Academy of Music in Gdansk. Under the supervision of the renowned pianist and chancellor, Waldemar Wojtal, she obtained Master of Arts in Piano Performance with Academic Honors. She was an instructor of chamber music at that institution for 3 years. After moving to the US, she enrolled at the New England Conservatory graduate program where she studied with Randall Hodgkinson and earned a Master of Music in Piano Performance with Academic Honors. Since then she taught at the South Shore Conservatory and Franklin School for the Performing Arts. Currently, she is a member of the piano faculty and a staff accompanist at All Newton Music School.